Roadware MatchCrete™ Clear - J.D. 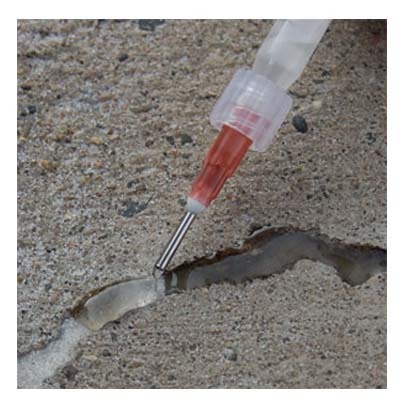 Honigberg International, Inc.
Roadware MatchCrete™ Clear (MCC) is a two component aliphatic polyurethane for repairing cracks, spalls, and joints in concrete subject to UV exposure from sunlight. 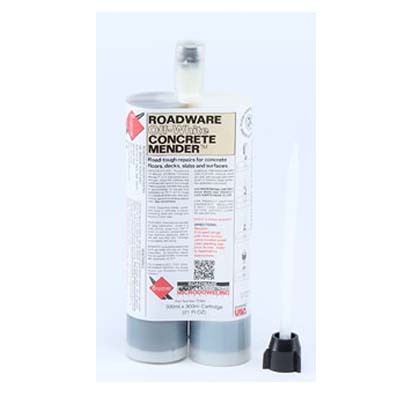 SKU: Roadware MatchCrete™ Clear Category: Roadware Inc. This material is clear in appearance when applied and cured. Colored sand and pigments may be added to create color stable repairs that match most any decorative style or shade of concrete surface. MCC will not significantly change color with exposure to sunlight over time. 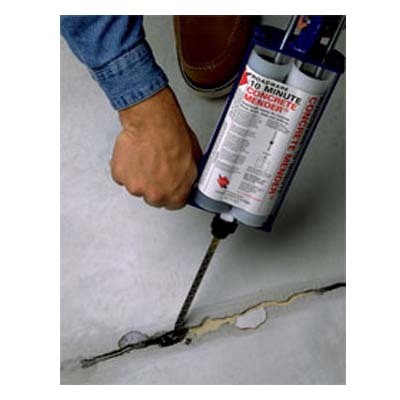 Use for repairing floor imperfections prior to concrete polishing or repairing damaged polished concrete. Roadware MatchCrete™ Clear (MCC) is used to quickly repair cracks and spalls in concrete that is exposed to sunlight and a color compatible appearance over time is desired. Sets in 20 – 40 minutes. Fully cures in a few hours. Remains clear, reflects surrounding colors. 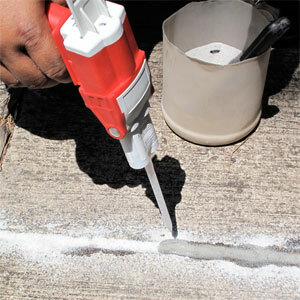 User may add colored sand, pigment, or concrete dust to match existing concrete. May be honed smooth in about 30 – 60 minutes at 70°F. May be needle tip injected. Will not become brittle over time. Repairing any concrete surface where appearance is critical such as retail entryways, doorways and pool decks. 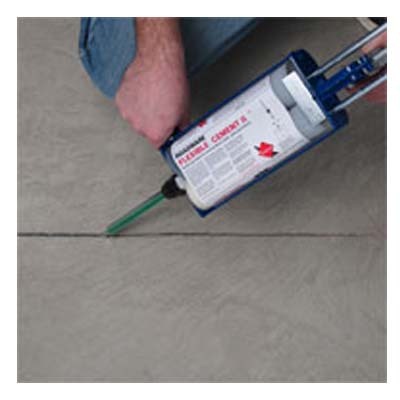 Repairing concrete floors that receive large amounts of sunlight such as lobbies and atriums. Less call backs. Repairs will not change color over time.